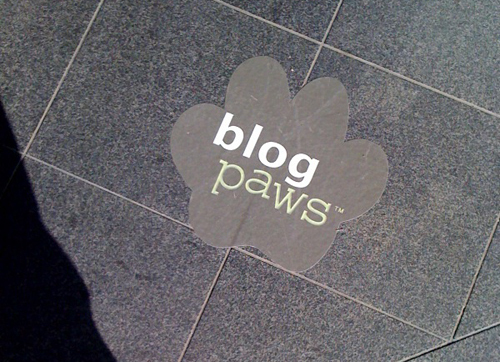 I was invited to speak at BlogPaws, a pet blogger conference. As anyone that reads my blog knows, I love blogging about my pets, so I was excited to go. Really I was supposed to be talking about Kodak, but I took the opportunity to share as many photos of Oscar and Stewie that I could. Check it out, they are models for these Top Ten Tips for Taking Great Pet Photos! 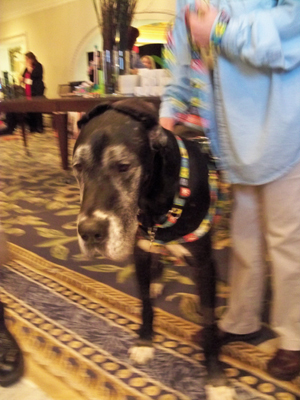 I loved seeing all the pets that came to the conference. 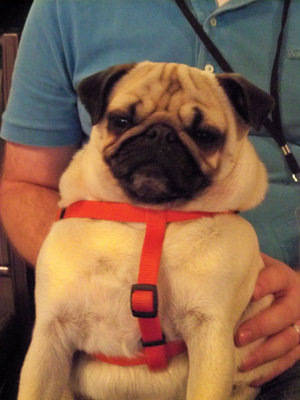 This pug greeted guests from a reclined position all day. Most laid back pug ever. And look at this fella. He was rescued two years ago. What a big baby! The conference was great - good information and a lot of passionate pet lovers!